Date posted: May 12, 2017 by: JasonDarkX2 Category: Tech Tutorials 3 comments. Looking for a way to easily play your music on Your Xbox One in the background during game play? here’s a quick solution, using the free Microsoft Groove and One drive apps. Yes, it’s a free method, included with every Microsoft account. No need to purchase a Microsoft Groove music pass subscription. Some music files, preferably .mp3 files. Once you have your accounts all setup, head over toMicrosoft One Drive site to get started. Sign in with your with the account that’s linked to your Xbox Live. As every Microsoft account will come with a 5GB of free One Drive storage. Additional storage and premium features cost a monthly subscription. But 5GB is more enough for music to be honest. Now simply head into the Music Folder. Hit the Upload Menu and choose either File for a single file or Folder option to upload a collection of music files within a folder. The uploading speed to One Drive may vary depending how many files you are uploading at a time. Once completed with the uploading of your music files to one drive. 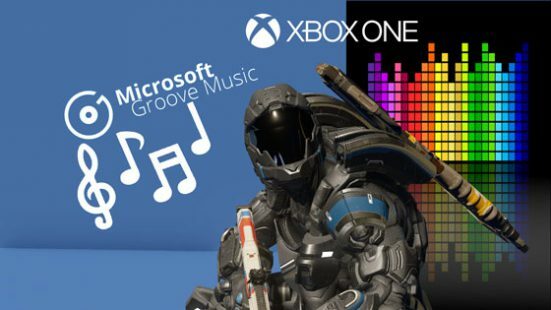 Head over to your Xbox One, and download the free Groove App from the store. 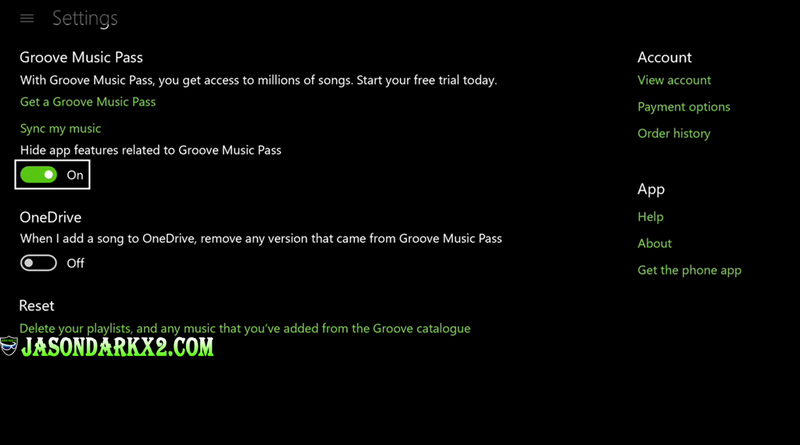 Upon first boot up, you’ll be greeted with Groove Music Pass page. If you don’t have a Groove Music Pass, head over to the top left corner menu and select My Music. The app will begin to sync any music files from your One Drive and make it accessible over the cloud service. From now on, any tracks Added to your One Drive will be auto sync, and added to your Groove app. While using this method to play custom background music on your Xbox One will require you to have a constant internet connection. The additional bonus of having your music on One Drive, is that it will accessible from any other devices (PC, phone, tablet) via Groove app, which is pretty convenient in my opinions. If you have an exist Groove Pass active You may want to enable “When I add a song to One Drive, remove any version that came from Groove Music Pass” option within the settings section of the Xbox groove app. Otherwise, you can enable the hide option if you have no intentions of using Groove Music Pass. So in order to starting music in the background during game play, pick a track and open your guide menu. You’ll now see a Background Audio section under the recent section. Here you can control simply stuff like volume, rewind/Forward track, pause. Well, it’s as simple as that, tada! Alternatively, if you’re looking for a local/offline approach, there’s the Simple Background Music player App on the Xbox store. Which allows you to play music in the background from a media storage device (Flash drive, external drive, MP3 player). I recently Got an Xbox One, Thanks for the Tutorial just what i needed. Sweet, didn’t know we were able to do this. I have it working properly on my Xbox and iPhone lol Thanks for the tut!